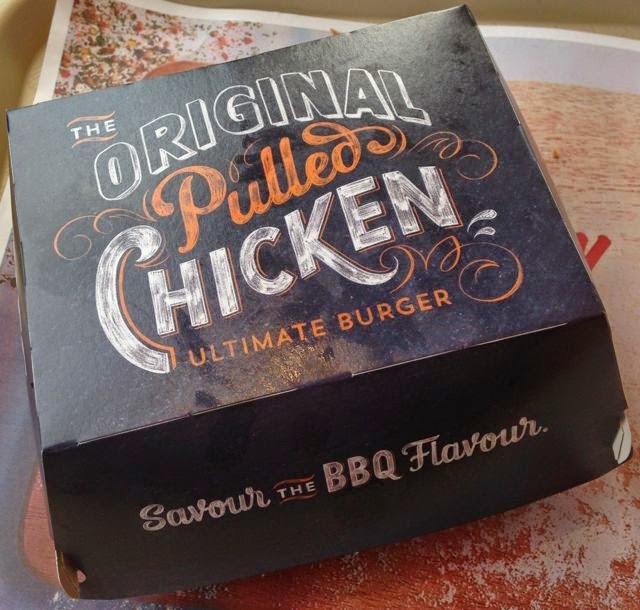 As ever it has been too long since my last visit to KFC, and this I time I could wait to tuck into their latest creation; The Original Pulled Chicken Ultimate Burger. We have all heard of pulled pork, but KFC has used this idea to create pulled chicken. Basically a shredded chicken in a barbecue sauce which tops two chicken fillets in their latest burger. The other new additional features are that there is a layer of coleslaw and the bread is a brioche bun. When I opened up the cardboard box the first thing you notice is just how shiny the bread is, it almost has a glare. Brioche bread is French in origin and the dough is made with a high egg and butter content, which makes it quite rich. The bread is toasted, and although richer than a regular bread bun the KFC version is still quite light, thankfully as it otherwise it might be a bit much with all those toppings. I gave the burger a try and oh my it had my tastebuds singing. I absolutely loved all the extras in their, the fresh salad and cheese were lovely, but the coleslaw was fresh and crunchy and added a whole new element, this alone would have been a fab extra, but lets talk about the star of the show, the slow-cooked pulled chicken. It appears in a light brown sauce, and tops the fillets under the lettuce. The flavour was excellent, sweet sticky barbecue sauce with just a hint of spice, paprika I’d say. It was heaven. 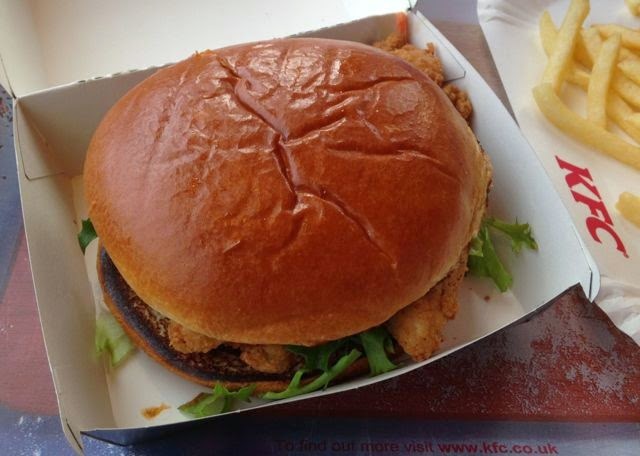 This is a seriously posh and tasty burger and something rather different from KFC. 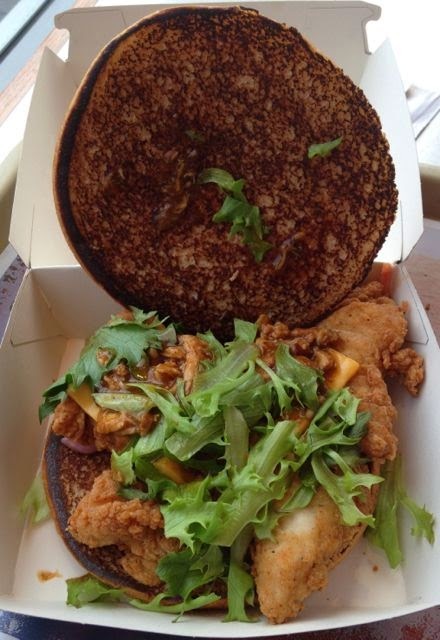 I take my hat of to KFC for this new creation and I just hope it stays on the menu. I’m looking forward to trying the Original Pulled Chicken in its wrap version next, I’m seriously hooked. This looks really good and quite different for KFC. The slow cooked pulled chicken sounds very interesting. I'm definitely tempted to give it a try!